Photos app for Mac can not only manage your photos, but also any of videos that have been copied into Photos app from an iPhone or camera as well. 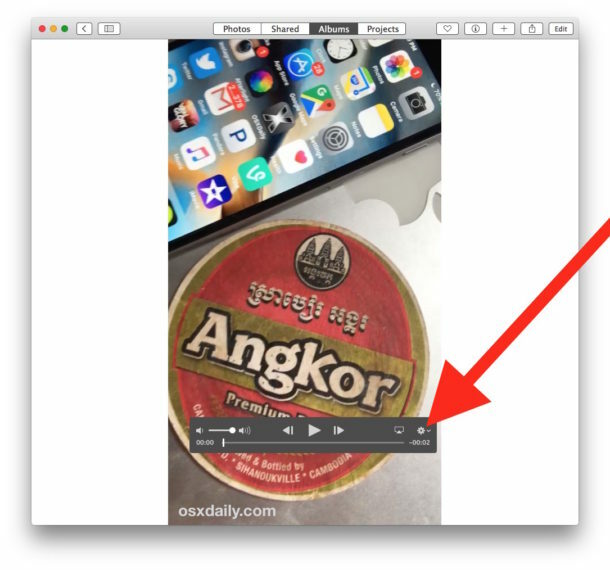 If you have a movie file in Photos on the Mac that you like but it’s just a bit too long, or perhaps the action scene is in the middle of the movie, you can use the Trim function in Photos to reduce the video and trim it down to the section you want to show in the movie. 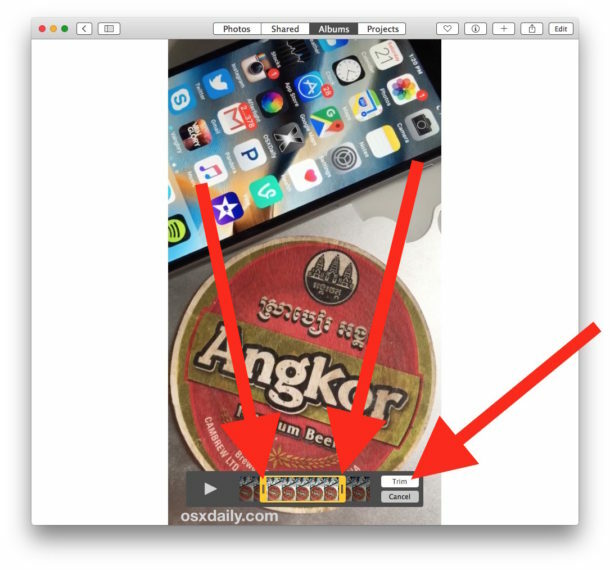 Using Trim works with any movie or video that is stored within Photos for Mac, it’s pretty simple too, here’s how it works. Remember, trimming a movie reduces the total length of the movie, cutting off portions that are either unnecessary or undesired. 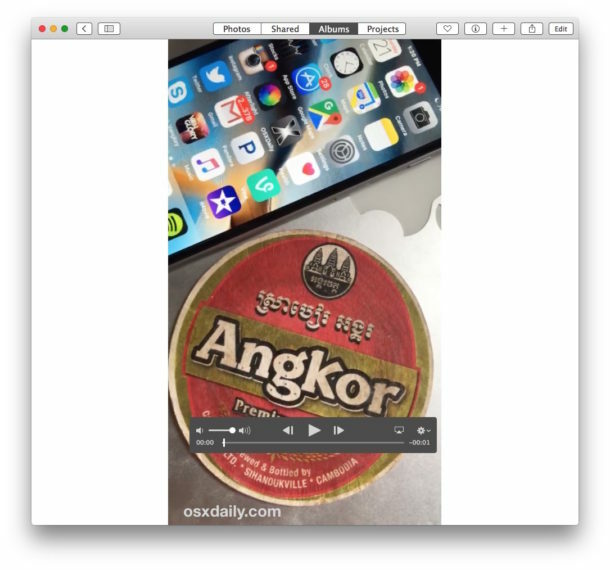 Trimming a video is not the same as cropping a movie, and cropping movies requires using iMovie on the Mac to crop down the actual frame of the film itself, having no impact on the overall length. 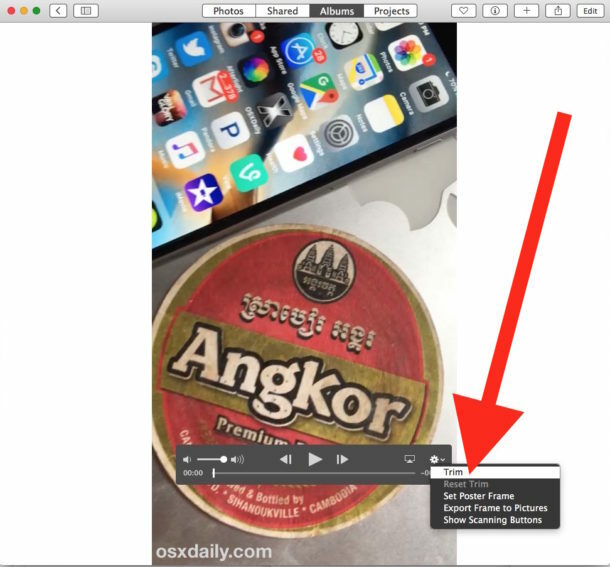 For users who don’t want to use Photos app for their video adjustments or otherwise, perhaps the best alternative is trimming video length on the Mac with QuickTime, which is a much lighter weight app that comes preinstalled on every Mac OS X computer. iMovie is an option too, for those who want more control and even more video editing features. Trim and manage your movies in…. Photos? You can also simply just duplicate the video clip and trim multiple portions of the video clip as well if you so desire to do so.